Today is our son’s 13th birthday. He wanted new skates, because he had his old ones wore out. We gave him these a few weeks ago, so he doesn’t get a real present today. But I did make him a CD with some of my old school raps. 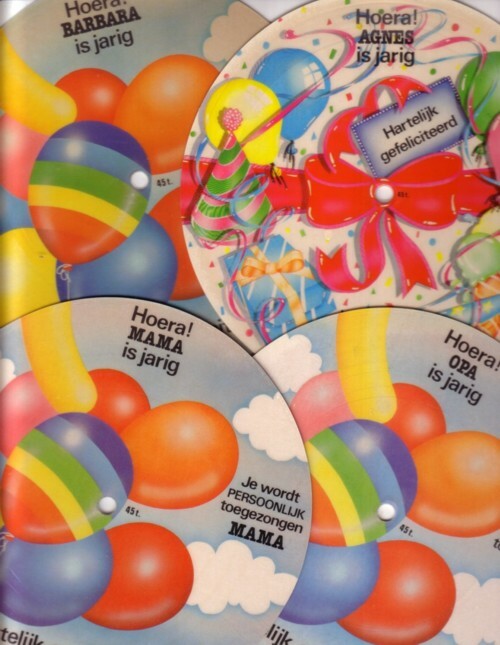 Our son loves to listen to rap, but what he listens to is mostly Dutch and ofcourse the modern stuff. Every now and then a I let him hear what kind of rap I like, but he is not really impressed by The Beasty Boys, LL Cool J or Run DMC. He says it is to noisy, much to punk. Our son learns to speak English now. He is not able to understand much of what is said in the raps that ceedeed for him, but I am sure that the first few seconds will draw his attention. I never cared much for all the discussions about what music is genuine and what not. I rather trust my ears. And Stezo rocks! Just like Jazzy Jeff and The Fesh Prince ( Boom shake the room ), Ali Dee ( Who’s the flavour ) and Chill Rob C ( The Power?? ). Most rap LP’s only have a few real good tracks, and some even only one. But I like all the tracks on Crazy noise . Musically it is one the most varied rap LP’s that I know of, and I think that Stezo is a talented and original rapper too. Back then (the late eighties) party rap wasn’t cool. But it seems to me that the so called cool raps of those days often sound pretty ridiculous and lame today. 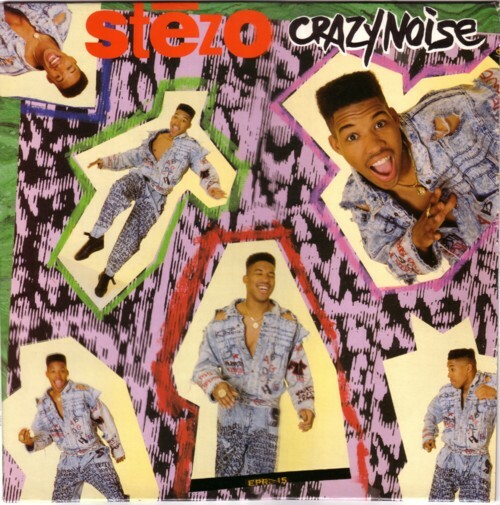 Anyway, here is Stezo with “To the max” . 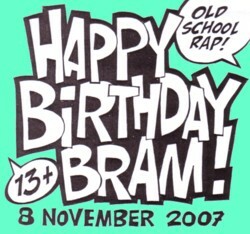 Happy birthday, Bram!